Osborne Estates are pleased to offer for sale this two bedroom property in Tonypandy, offering immediate access to the A4119 link road to the M4 corridor, rail links and soon to be Tonypandy super school. This property comprises of a lounge and kitchen, then a family bathroom and utility room to the lower ground floor, two bedrooms and shower room to the first floor. The property also benefits from having lovely views and side access. Osborne Estates are pleased to offer for sale this larger than average traditional terraced property with fantastic views and situated in the popular village off Gilfach Goch, ideal family home or investment opportunity. Located with access to a range of local amenities and transport links, this is also a good location for commuters. Osborne Estates are pleased to offer to the market this larger than average 3 bedroom end terrace house. In brief the property comprises of reception room, kitchen, 3 bedrooms and A family bathroom. The property is located close to transport links and local amenities and also benefits from double glazing throughout and gas central heating. Osborne Estates offer to the market this modern terraced property offering unspoilt views, over the surrounding valley, mountains, maintenance free patio garden with detached garage. This property is completely renovated and modernised and is seen to be in superb condition, with fitted carpets, PVCu double glazing, gas central heating fitted kitchen, bathroom and so many extras. This three bedroom property is located in the popular location of Gilfach Goch. The accommodation briefly comprises of Entrance hall, lounge, sitting room, kitchen, shower wet room To the first floor there are three bedrooms and a family bathroom . To the rear of the property there is a garden with lane access and open views . This property is located close to all local amenities, including bus links, road links, and major stores. This is a three bedroom, mid terrace house situated in Clydach Vale Tonypandy which would be an ideal starter home and a viewing is highly recommended. good size garden to the rear. Situated in a popular residential street, close to all local schools, public transport links etc, and Tonypandy nearby, this is an improved, three bedroom mid terrace dwelling house, of traditional stone construction. Osborne Estates have great pleasure in offering for sale this spacious three bedroom end terraced property situated in Pentre. Which is within close proximity of local amenities, road networks and rail links. The accommodation briefly comprises: to the ground floor: enter into kitchen/ reception room/ Whilst to the first floor there are three bedrooms & family bathroom. Other features include gas central heating, double glazing and rear garden with fantastic views over the valley. 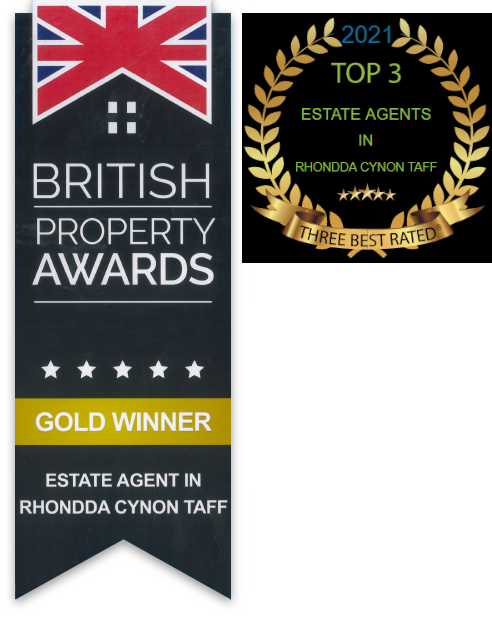 Osborne Estates is pleased to offer for sale this attractively priced three bedroom three storey mid terrace property situated in the village of Penygraig with easy access to all local amenities and transport links. This property is ideal for a young family or a first time buyer starting out. Situated in a prime position in the popular village of Tonyrefail offering immediate access to amenities is this two double-bedroom former three end terraced property with side access.. The property benefits from UPVC double glazing throughout together with gas central heating via recently fitted combination boiler. The property has been well maintained throughout and is being sold with blinds, curtains, light fittings, fitted carpets and floor coverings throughout together with white goods to the kitchen. Osborne Estates are pleased to offer for sale this end terraced property with a parcel of land to side. The property is located on the main road between Pontygwaith and Wattstown offering good transport links and amenities making this a potential investment or something for the budding gardener. This is a three bedroom, semi detached traditional property, with forecourt approach in Birchgrove Street, Porth with gardens to rear and front plus the added bonus of garage to the rear. The property affords gas central heating and offers excellent potential, offering a good sized family accommodation, in a very sought after area. Osborne Estate Agents are pleased to present this commercial property situated in Williamstown, Tonypandy. The building is of cavity construction the rear wall is stone and brick. It has a corrugated tin roof, remote controlled electric shutter doors and has three phase and single phase rewiring. The property also boasts a large off road parking area. FIRST TIME BUY OR INVESTMENT OPPORTUNITY! Osborne Estate Agents are delighted to market this three bedroom terraced property situated in side residential location . The property comprises of lounge, kitchen / diner, three bedrooms. The property has easy access to all local amenities. Osborne Estates is pleased to offer for sale this attractively priced three bedroom terraced house in Clydach Vale Tonypandy. This property is situated on High Street Clydach Vale Tonypandy with easy access to local amenities and transport links to include the A4119 link road to Talbot Green retail park and junction 34 M4 an early viewing of this attractively priced property is highly recommended.